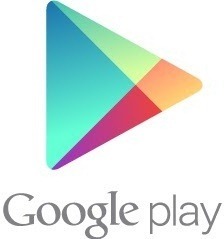 [Weekend Poll] Do You Regularly Rent Movies Through Google Play? This is the latest in our Weekend Poll series. For last week's, see Do You Regularly Purchase Tracks/Albums Using Google Play Music? Last week, we asked you whether you ever regularly purchased from Google Play Music. Only 10% of you purchase all of their music through the Play Store, and 58% have made any purchases at all. This week, we're moving on to movies. Do you regularly rent movies from Google Play? Obviously, "regular basis" is subjective, but we're going to leave it up to you to determine your answer. Vote below and discuss via the comments. Do You Regularly Rent Movies Through Google Play? I only rent movies through the Play Store. I rent some movies through the Play Store. I rarely rent through the Play Store. I never rent through the Play Store.